Jay Norwood Ã¢â¬ÅDingÃ¢â¬Â Darling (1876 - 1962) was destined to be an advocate and to challenge the status quo for his entire professional life. Born in Michigan, he spent most of his youth on the last of the Iowa prairie, where his devotion to conservation was first kindled, and where he hired himself out to herd cattle across South Dakota. Dismissed from Yankton College in South Dakota for a campus prank, he was suspended from Beloit College in Wisconsin when his yearbook cartoons of the collegeÃ¢â¬â¢s faculty were deemed too irreverent. He graduated in 1900, influenced forever by a Beloit biology professor who kindled ecological concepts in the young artist. 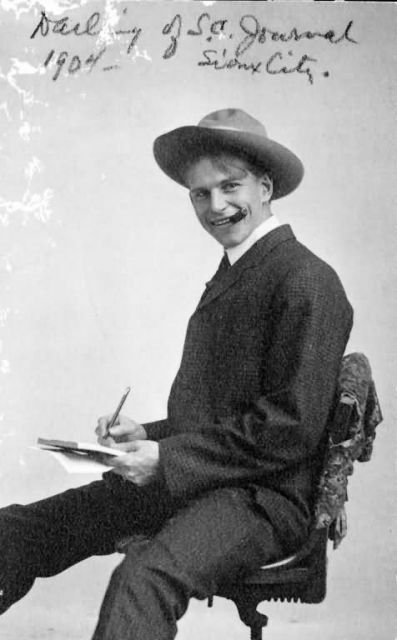 Darling became a political cartoonist for IowaÃ¢â¬â¢s Sioux City Journal and by 1917 his work was being syndicated across the nation in 130 newspapers. While cartooning for the Des Moines Register, the staunch Republican with his progressive ideas about conservation in the worst of the Dust Bowl was recruited by President Franklin Roosevelt to serve on a Federal wildlife committee to address the plight of North American waterfowl. Some asserted that DarlingÃ¢â¬â¢s biting, satirical cartoons had prompted Roosevelt to embrace the prickly cartoonist and make him a part of the new administration, rather than suffer his editorial slings and arrows further; in 1934, Darling was offered the directorship of the Bureau of Biological Survey. In a tenure than spanned barely 18 months, Darling emerged as the Ã¢â¬Åbest friend a duck ever hadÃ¢â¬Â by injecting new life into the agency and creating a new Federal revenue stamp Ã¢â¬â forever known as the Ã¢â¬ÅDuck StampÃ¢â¬Â Ã¢â¬â to generate revenue from hunters to sustain and enlarge the budding National Wildlife Refuge System. He recruited the esteemed J. Clark Salyer II to manage the refuge system, which grew to 279 units encompassing 29 million acres by SalyerÃ¢â¬â¢s retirement in 1961. Darling went on to help organize the National Wildlife Federation. J.N. Ã¢â¬ÅDingÃ¢â¬Â Darling National Wildlife Refuge on Sanibel Island in Florida, one of his favorite birding locations, was created to honor the intrepid cartoonist who cared so much about ducks.